When it comes to making a donation to charity, donating Real Estate can offer the greatest tax advantage. Even though the stock market is rebounding, it is Real Estate that has seen the greatest appreciation over the past 10 years and thus is often the wisest choice for charitable giving. And many analysts say that the boon in Real Estate is nearing or has reached its peak. So if you own property, perhaps now is the time to consider a gift of Real Estate to accomplish your charitable goals. Real Estate donations can provide you with highly beneficial tax results and allow you to achieve significant and important charitable goals. 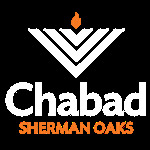 A donation of real estate to Chabad of Sherman Oaks often minimizes taxes and provides an immediate income tax deduction. If you prefer, a gift of real estate can also provide regular income for you through an annuity, and you may also be able to continue to live in or otherwise use the property, rent free, even after you donate it. Whether or not you have ever considered the idea of donating real estate to charity in the past, you will benefit from learning more about Chabad of Sherman Oaks. Chabad of Sherman Oaks works with professionals with years of experience evaluating, marketing, and selling real estate. So this allows Chabad to manage the receipt and subsequent sale of your property anywhere in the United States, and provides a simple way for you to instantly reap the considerable rewards of a sizeable charitable donation. More and more individuals and businesses are realizing the benefits of donating real estate to Chabad of Sherman Oaks, a tax-exempt IRS-registered 501(c)(3) non-profit organization. You will receive the maximum tax deduction allowed by law when you contribute property to a qualified public charity. You avoid capital gains tax on highly appreciated properties with your gift of real estate. You avoid the expense and inconvenience of marketing the property. You eliminate your legal and tax liabilities on the properties you donate. You can attain personal financial goals while also supporting a great charity. You may participate in an opportunity that allows you to diversify your assets and establish an income stream for your lifetime. You may retain the right to continued use of the property and you can begin to achieve your dreams of charitable giving immediately! You can attain a level of giving you might not have considered possible, through an asset you own right now. Once you decide to make your gift, there are several giving options you are able to choose from. Chabad's professionals will help you decide which of these options is right for you. If you have held the property for more than one year, it is classified as long term capital gain property. You can deduct the full fair market value of the donated property. Your charitable contribution deduction is limited to thirty percent (30.00%) of your adjusted gross income. Excess contribution value may be carried forward for up to five years. If the property has been depreciated, the fair market value must be reduced by its accumulated depreciation through the date of contribution. Fair market value is most commonly determined by an independent appraisal. If you elect to deduct your cost basis of the donated property you are allowed a deduction of fifty percent (50.00%) of your adjusted gross income. Excesses here again can be carried forward up to five years. Which method you elect is dependent on the cost basis in the property donated, your tax bracket, the age and health of the donor and whether you plan to make future contributions. If you have a controlling interest in the corporation and the property has been held for more than one year, the corporation can deduct up to ten percent (10.00%) of the net profit of the corporation. If the corporate has elected "Subchapter S" status, then the contribution allowed will be reported on the individual shareholders K1 and may be deducted on the individual return. The corporation may not claim a deduction for the property donated. Rather, the contribution passes to the individual shareholders on a pro-rated based on their percent ownership in the S corporation. The shareholder can claim this deduction on their individual tax return. The same limits and carry forward rules will apply. Partnerships and limited liability company contribution rules are the same as an S corporation with one exception the partners or member can claim a deduction even if they have no basis in the partnership or limited liability company. If you contribute property to a qualified organization, the amount of your charitable contribution is generally the fair market value of the property at the time of the contribution. However, if the property has increased in value, you may have to make some adjustments to the amount of your deduction. For information about the records you must keep and the information you must furnish with your return if you donate property. * Inventory from your business. These special rules are described next. 2. The interest, including bond discount, receivable on the bond that is attributable to any period before the contribution, and that is not includible in your income due to your accounting method. This prevents a double deduction of the same amount as investment interest and also as a charitable contribution. Real Estate donations can provide you with highly beneficial tax results and allow you to achieve significant and important charitable goals.